Jules (Drayton, United Kingdom) on 1 March 2013 in Architecture and Portfolio. It must sound fantastic when a choir sings in this cathedral. Lovely photo. Excellent angle for this long view through the choir. Beaucoup de choses à admirer dans cette image, splendide cadrage. Bonne journée. This image transports me right there! Fantastic. One thing I thought from the start of this series is that most places like this don't allow the use of recording equipment. So it's great they allow you to share this place with us. very clever and effective choice of perspective to show so much of the church here. the "dwarf-like" figure of the man makes the striking proportions even clearer !!! The wood and the colours are so rich..
Another fantastic view of the cathedral, the angle is well chosen. Wonderful colors, I love it. THis place is magnificent from every angle you have captured! 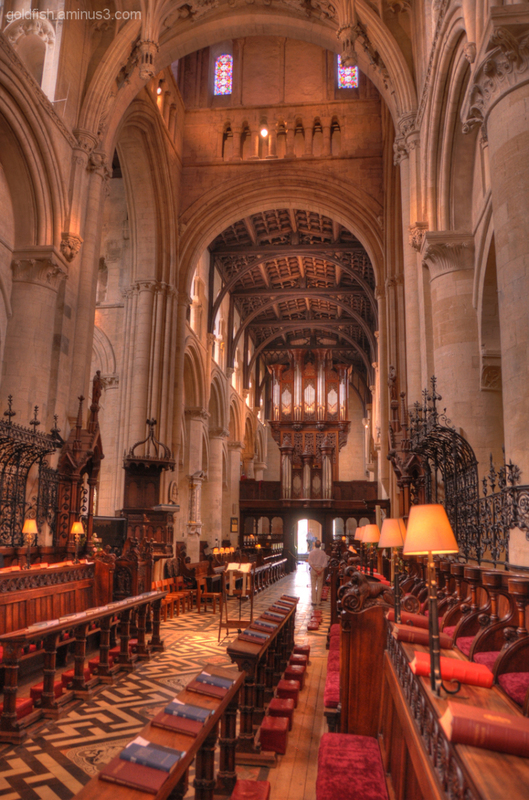 The carved pews are stunning, I love to touch the wood its always so tactile.